The global market for dehydrating breather is expanding due to the large-scale production of electrical equipment across the world. Dehydrating breathers are essentially used in the electrical industry where several components and parts are required to be ridden of any form of moisture. The function of the dehydrating breather is to prevent air moisture from coming in contact with the oil of electrical equipment. The dehydrating breathers are extensively used across the electrical industry where even a tiny speck of contempt could have dire consequences. In transformers, the insulating and cooling liquid expands, thus, displacing the air in the expansion vessel. The air in this vessel travels through the dehydrating breather, and if the former is used properly, no moisture remains inside the transformer. The oil side of electrical equipment or devices is exposed to the dehydrating breather in order to rid the device of all moisture. The global market for dehydrating breather can be segmented based on the type of product, end-user, dessicant volume, and region. These segments together constitute the global market for dehydrating breather and it is vital to analyse each of these segments for pensive market insights. 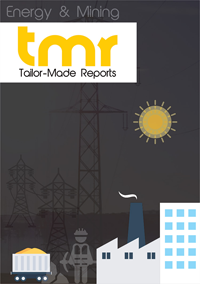 The report draws a clear picture of the global market for dehydrating breather and factors out the forces of demand and supply. The extrinsic as well intrinsic factors that have contributed to the growth of the global market for dehydrating breather have been explicitly mentioned in the report. The regional and global players have also played a decisive role in popularising dehydrating breathers across the electrical industry. Hence, the strategic efforts of these market players along with their innovative business moves have also been included in the report. The consulting companies in the power sector have given a seal of credibility to dehydrating breathers that has given an impetus to the growth of the global market. The providers of raw materials for dehydrating breathers have also accelerated their operations in order to cater to the rising demand within the global market. The companies that manufacture transformers have also increased in recent times, and this has been the most prominent driver of demand within the global market for dehydrating breather. The government has been stipulating rules and regulations with regards to the electrical industry, which has underhandedly influenced the growth of the global market. The companies engaged in supplying electric power to households, commercial units, and industries have also undergone fundamental changes. Owing to the aforementioned factors, the demand within the global market for dehydrating breathers is projected to witness an upsurge in the coming times. The global market for dehydrating breather has been reaping a significant share of revenues from the market in Europe. The excellence of the automotive sector in Germany has played an important role in enhancing the growth prospects of the market in Europe. Furthermore, the industrial development that has offset across Asia Pacific is expected to boost demand for dehydrating breathers across the region. The leading players in the global market for dehydrating breather market include Dry-Tech, ABB, Des-Case, Siemens, and AGM Container Controls. These market players have been making tremendous efforts in the research and development of better quality products to retain their supremacy in the market.